Does Lemon Water Contain Antioxidants? Citrus fruit provides high levels of vitamin C. Lemon is the best citrus fruit for its amount of electrolytes, and it has antioxidant properties that can prevent disease, Drugs.com reports. Lemons can be eaten raw or added to water to create lemonade. Before you begin any lemon diet supplement, talk to your doctor first. Your body's electrical system depends on a balance of coordinated electrolytes. Potassium helps balance sodium and vice versa. Calcium helps regulate magnesium, and both help with the conduction of heartbeats. By eating nutritious foods, remaining hydrated with liquid and adding lemon to your diet, you can keep electrolytes balanced. Nutritious foods include lean meat, vegetables, fruits and fish. If you take iron, absorption may be increased. Do not stop your iron supplement. Continue to take your medicine as prescribed, but avoid lemons in your diet. Talk to your doctor before starting a lemon supplement. Ingredients in lemons include potassium, vitamin C, potassium and folate. Lemons have no cholesterol or fat. Potassium is another ingredient of lemons that help with balancing electrolyte sodium in your body. Potassium helps with lowering your blood pressure and preventing fluid retention. The antioxidant effects of lemons remain impressive. If you suffer from asthma, gallstones and arthritis, your symptoms may lessen when lemons are added to your diet, Maleskey remarks. Drinking at least 2 liters of lemonade daily flushes out toxins and promotes better health. Three squeezed lemons to 1 liter of water creates a therapeutic lemonade drink. Drinking lemonade curbs your appetite and helps with digestion. 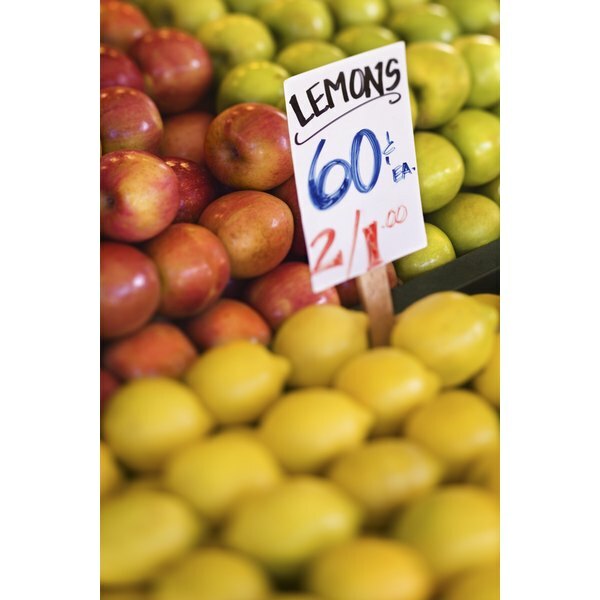 You may lose weight if you add lemons to your dietary regime. Many digestion problems, such as gas and belching, will stop. Lemons help your liver work more efficiently. It stimulates bile juices to work faster and stronger to digest food. Lemons soothe a sore throat and make a therapeutic lip balm when added to a lip moisturizer. Lemons smell good and remain an added bonus to tea and foods.